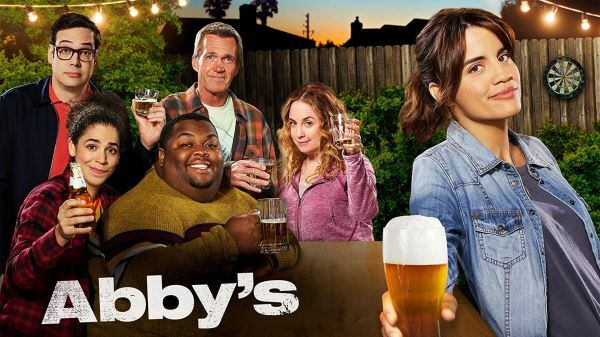 The oddball cast of characters that hang out at Abby's believe everyone needs a bar to call home. Theirs just happens to be an unlicensed watering hole in Abby's backyard, where the drinks are cheap and the laughs abound. But what really makes this place so special is Abby. She's a tough cookie with no time for nonsense. She doesn't allow cellphones, earning a seat at the bar takes time, and losing a challenge means drinking a limey, sugary, non-beer cocktail -- and her regulars wouldn't have it any other way. James gets offered a new position at work that he worries he's not qualified for, so Abby serves up some tequila shots which give him a little too much liquid courage.